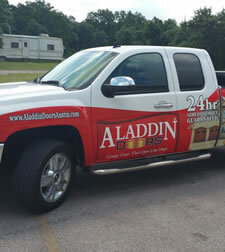 Aladdin Garage Doors Houston is a full-service garage door service and repair company in the Houston area. We specialize in the repair and replacement of garage door springs for residential overhead doors. Whether you’ve broken a spring on a single door or have several doors causing you problems, we can dispatch a truck and experienced service technician to repair your door springs once-and-for-all. Garage door spring repair is best left to professionals. Call us at 281-252-3346. Garage door springs are under a lot of pressure as they are what allows a 150-pound door to feel light as a feather when lifted manually. Improper releasing or tightening during garage door spring replacement can result in a dangerous situation. These types of springs are coils that help counterbalance the weight of the door. The springs are critical to the operation of your garage door and are often the reason your door will fail to open, especially if your garage door has not been regularly adjusted and maintained. Note that extension springs can be much more dangerous when they break and during replacement. 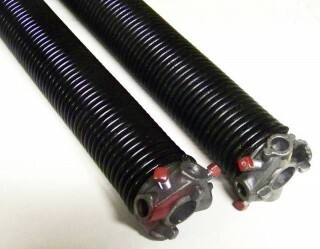 Torsion springs outlast extension springs and Wayne Dalton springs because of their more durable construction. Our durable springs are made of oil tempered steel, not galvanized. They are stronger and resists rust, whereas galvanized are cheaper and last only a few years. Our springs have a higher than average cycle-life rating than most springs. A “cycle” is up then down. Garage door torsion springs can have a cycle-life as low as 8k cycles, but ours average 20k cycles making them last longer plus they are backed by a 4 year warranty. All of our truck also carry lifetime springs rated at 80k – 100k cycles. When you purchase lifetime springs they are warrantied for life. If a spring should break within the warranty period, we will replace the spring for free, plus the cost of a regular service call. If you have two springs and one breaks under warranty we will replace both springs. How Do I Know My Garage Door Spring Is Broken? 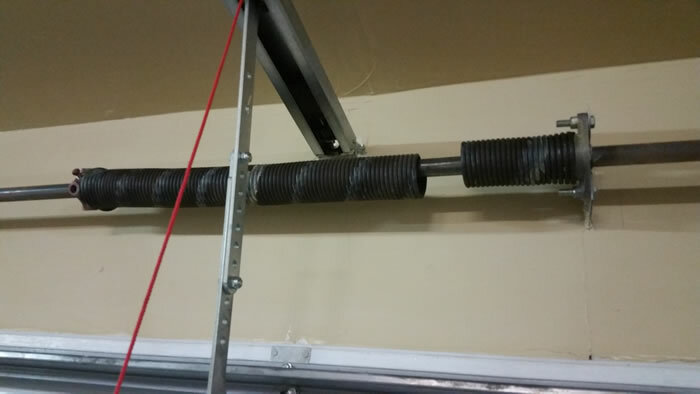 Symptoms of a broken garage door spring include loud noise(s) when the spring breaks, a large gap in the spring where it used to be a single continuous coil, and if the door is being raised or lowered the door could crash to the ground or come off track. If the door crashes down, it can also lead to the cables coming off of the pulley (drum). If you believe you have a broken spring, please call a professional to diagnose and repair the problem. It is much safer as garage doors are heavy and springs can have a lot of stored energy in them that can cause injury. At Aladdin Garage Doors Houston we carry various sizes of torsion garage door springs in our service vehicles so we can have your garage door functioning properly with as little downtime as possible. Why Choose Us For Door Spring Replacement? Aladdin Garage Door technicians are well-trained in safe troubleshooting, removal, and replacement of springs on all makes and models of garage doors. We offer same day service at no extra charge (for calls before 2 p.m). Plus, we are a local, family run company large enough to serve all of your garage door repair and installation needs, whenever you need it. We know your time and money are important and, most importantly to us, we want you to be 110% satisfied with our services. Whether you’ve had a door spring break or just aren’t sure why your garage door is not operating properly, we can help. Have questions? Want a garage door spring repair estimate? Give us a call 281-252-3346 or fill out our contact form and someone will be getting right back to you.